Air Navigation Pro Android Version 2.1 has launched! Pilots now have added inflight optimized 3D features, an instrument compass, flight recording function, and a whole new look and feel that will quickly become second nature. In addition, aviators presently have the option to maximize both preflight and inflight planning with a complete aeronautical database subscription plan. 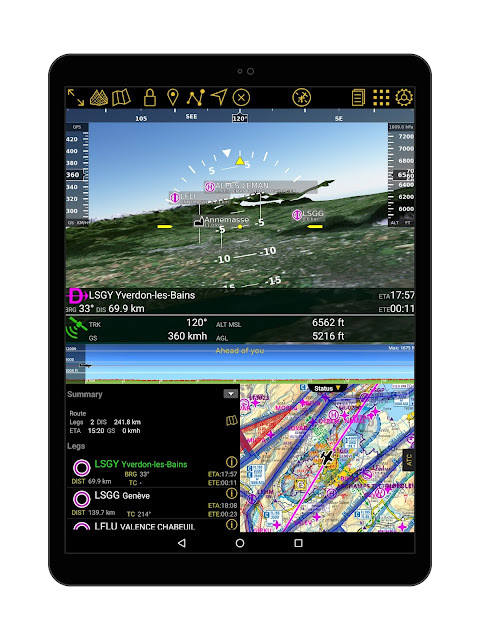 Air Navigation Pro users, from student pilots, to general aviation warriors, and commercial professionals alike will find the new features an enhancement to the in cockpit experience. 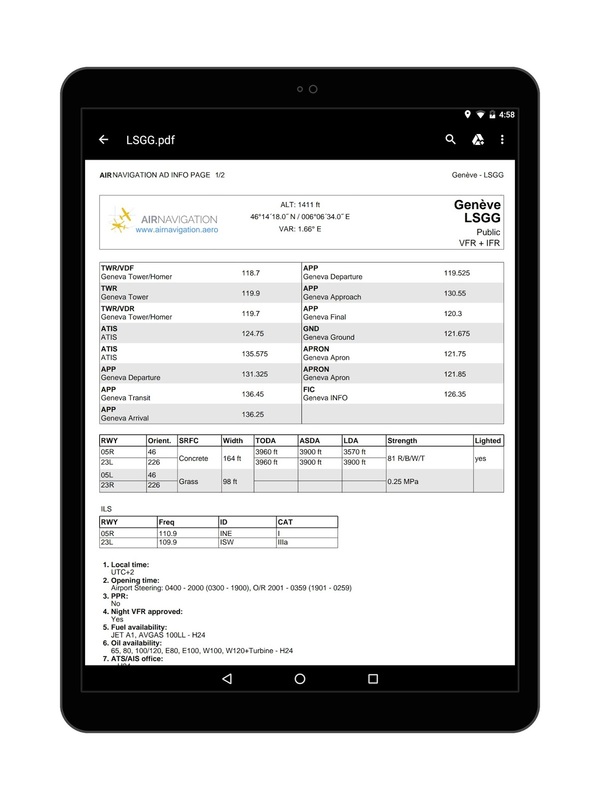 With the same look and feel as the iOS version, both Apple and Android users get to enjoy the smooth interchangeability of operation and ease of use. Most of all, legacy users will be pleased with how well their feedback was received and translated into this ‘human factors’ centric engineering. CFIT: Controlled Flight into Terrain. The acronym alone sends shivers down every practiced pilots spine and for good reason. There are few experiences more terrifying than flying into IMC conditions at low altitude with rising terrain ahead. Knowing the average life expectancy for VFR pilots in instrument meteorological conditions is less than 3 minutes, this advancement in aviation software could not have come too soon. The added bonus of the 3D feature goes beyond a superior safety, but is an exceptional tool to the VFR pilot. This is an invaluable instrument in achieving the private pilot’s license, helping to exceed the requirement to demonstrate real world topography interpretation to chart location. Moreover, instrument rated pilots will be thrilled to experience the georeferenced approach charts with the new 3D view. This feature is a game changer for simplifying the VFR/IFR landings. It’s brilliantly engineered to reduce pilot stress load and offers the opportunity for one perfect approach after another. Redundancy is safety and few tools are more critical than the compass. Whether flying through class bravo airspace, where a heading error comes with heavy fines, or navigating through miles of uncontrolled airspace when miscalculations burn cash at the rate of fuel flow, having backups to your magnetic and vacuum indicator is a money saver. 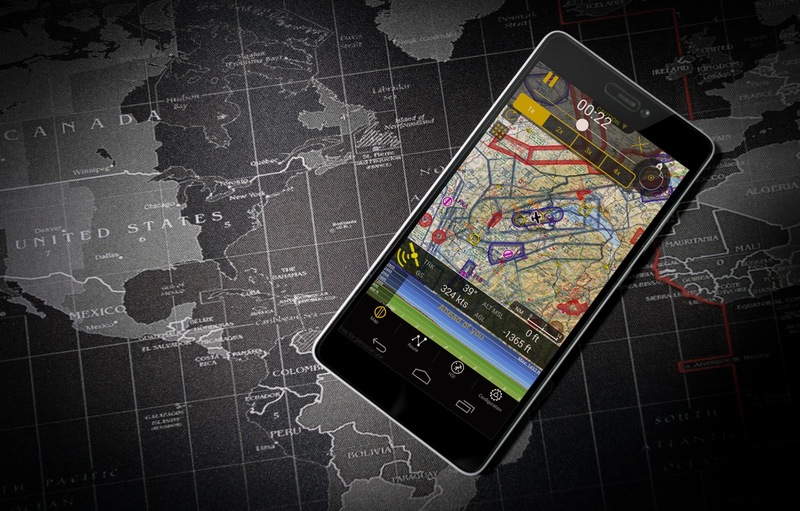 Air Navigation Pro has made it even easier to share your flight with friends and family. Its flight recorder function is a breeze to upload, interfacing with popular social media apps Facebook, Linkedin, and even Twitter, in addition to email! Further in theme with the new 3D features and inflight compass, the Flight Record Function is a money saver! A good debrief in student pilot terms is equivalent to an extra flight. In the world of aviation, that is the difference between hundreds of dollars wasted or invested. All pilot students, vloggers, bloggers, and every day watch shooting aviators included, will also enjoy this feature which definitively proves ‘you really are that good of a pilot.’ With indisputable evidence to back up those tales of your perfect flight, the flight record function isn’t just practical, it comes with bragging rights! 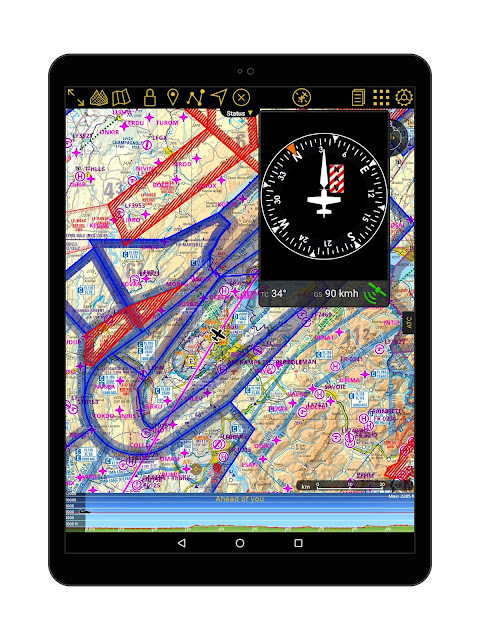 Both instructors and students will love this feature that incorporates all the benefits of Air Navigation Pro and lets you practice at home. With the added advantage of utilizing a simulator incorporating the same tools used in flight (once again saving time and money), flight instructors will be as thrilled with their quickly advancing students as those junior pilots will be in the flight hours’ money saved. Clearly designed for the user, the GPX file feature allows aviators to import and export data into the application database, enhancing the pilot experience through collective usage of waypoints, recorded tracks, and routes. Whether sharing with a friend, copying data for use across multiple devices, or creating backups to regular flight plans, this is yet another feature that makes Air Navigation Pro a standout in design for the pilots who use it. Plans change: being a good aviator means being able to flex with those changes on the fly (pun intended). 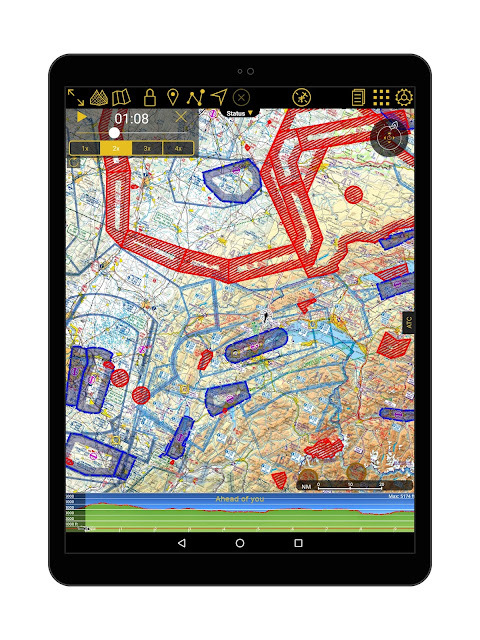 Giving pilots rapid access to AIRAC updated data, Air Navigation Pro’s aeronautical database subscription plan can be used confidently by aviators when they need to execute on the unexpected. 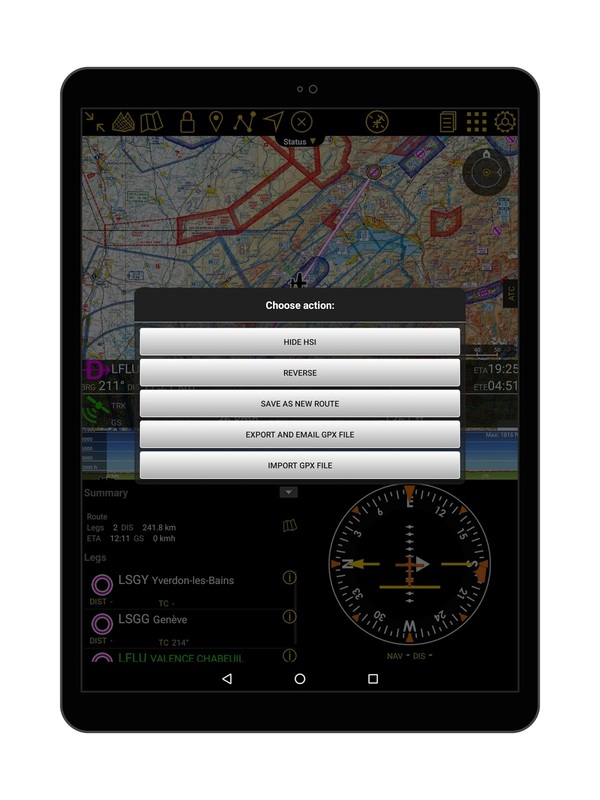 Offering another safety net and access to all the information need in responding to weather, ATC instruction, or the dreaded inflight emergency, everything from airport diagrams to airspace classifications is available at the swipe of a finger. Every pilot knows that clear, concise, and correct communication are the keys to a perfect flight and makes a big difference in the outcomes when faced with fatigue or stress in the cockpit. Now Air Navigation Pro takes into account the native languages of its users and speaks fluent French, Spanish, Portuguese, and German, and is starting to learn Italian and Russian! Additionally, soon it will have a fluent Chinese option and is truly revolutionizing the pilot experience. Now your language is Air Navigation Pro’s language. Air Navigation Pro Android Version 2.1 newest features benefit pilots in and out of the cockpit at all levels. Student pilots will find this to be an excellent training tool, while veteran fliers will be pleased with the ease of use and pilot centric design. All aviators will be better for the safety this app provides and happy with the availability during all phases of flight. 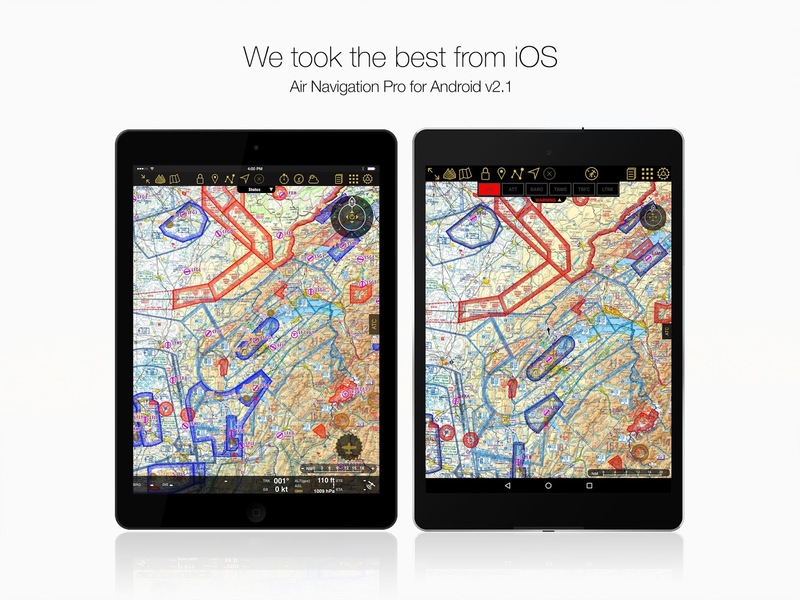 The engineers and aviators and Air Navigation Pro did a phenomenal job in bringing an evolutionary product to its users! Sounds good but does the Android verion support external AHRS for the synthetic vision? Hello, for the moment AHRS sensors are not supported. They will be supported on Version 2.2 coming end of this year. That is a great news.